Western Governors University (WGU), an online competency-based institution, continues to make inroads in higher education. A new Gallup study suggests that WGU is also doing an outstanding job meeting its students’ needs and preparing its students for rewarding careers. WGU was established in 1997 by 19 U.S. governors with a mandate to expand access to high-quality and affordable higher education by making the most of emerging digital technologies. 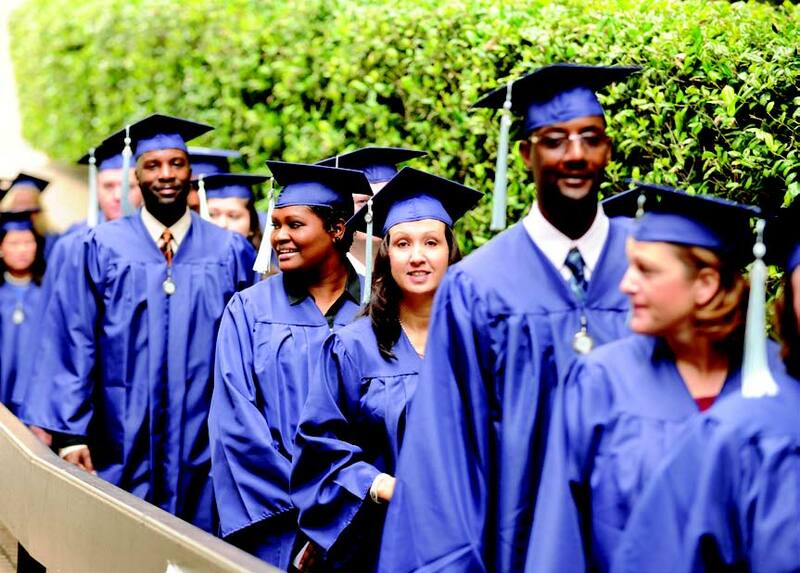 Over two decades later, the university serves 95,000 students across the United States and already has 103,000 graduates. Despite a few recent stumbles with federal authorities who have questioned whether all of the university’s courses meet federal standards, by and large, WGU has emerged as an exemplary model in the online higher education market. The recent appointment of accreditation expert, Dr. Deborah Eldridge, who will serve as VP of WGU’s Teachers College, also points to the institution’s growing interest in upholding the very highest possible standards. Graduates’ full-time employment rate exceeds that of graduates nationally, graduates of public and private not-for-profit universities and other nontraditional graduates by almost 20 percentage points, on average. Graduates are more likely than their comparison group peers to work in jobs completely related to their undergraduate studies, be engaged at work and believe they have the ideal job for them. Graduates are more likely than graduates nationally, public and private university graduates and nontraditional graduates to be thriving in their purpose, social, financial and physical well-being. Two-thirds of graduates strongly agree that they had a mentor who encouraged them to pursue their goals and dreams — a rate substantially higher than that of graduates from comparison group institutions. And, among graduates, having this type of mentor is linked with higher overall well-being. 72% of graduates strongly agree that their education was worth the cost, a percentage that more than doubles that of private not-for-profit graduates who say the same (31%). 74% of graduates say they are extremely likely to recommend the university to their family, friends and colleagues. Less than half of nontraditional graduates (47%) — the next-highest group — say the same. The 69% of Western Governors University’s graduates who strongly agree that WGU was the perfect school for people like them surpasses — by 33 percentage points, on average — the percentage of their comparison group peers who hold the same view. Given the positive workforce and well-being outcomes reported by graduates, what is WGU doing right? The report suggests that two experiences at WGU appear to be critical to the success of its graduates. The first is Western Governors University’s focus on meaningful mentorships and the second is the job relevance of its programs. Indeed, as reported, the percentage of graduates who had meaningful mentoring relationships is double that of graduates at public universities. In addition, 81% of WGU graduates maintain that they were able to apply their coursework in jobs or internships. By comparison, only 68% graduates nationally believe they learned something in their coursework that was relevant on the job. Walden University Grads Default on Their Federal Loans at Very Low Rates. But That’s not Why They’re Under Investigation.